Lab packing is the safest and most compliant method to remove a variety of lab chemicals at one time. 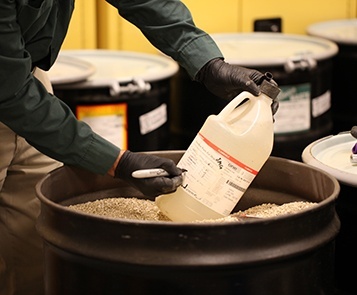 When handling various chemicals, solvents, and wastes with risks of reaction, it’s important to work with a highly experienced partner, like Triumvirate Environmental, with a track record of safety and compliance. Closing, decommissioning, or moving a lab? Our lab pack services make lab moves easy, fast, safe, and compliant. Let our experts safely handle your lab pack process from start to finish.